The CEO of Kona I and the chairman of its Bangladeshi arm Kona Software Lab, Cho Jung-il said that Bangladesh has made big strides in digital payment and security software in the past few years and the country still has enormous unexploited potential. Jung-il made the comments While visiting Bangladesh last month. The chief executive said that Kona I has contributed significantly to the global ICT industry, helping create a smarter world. 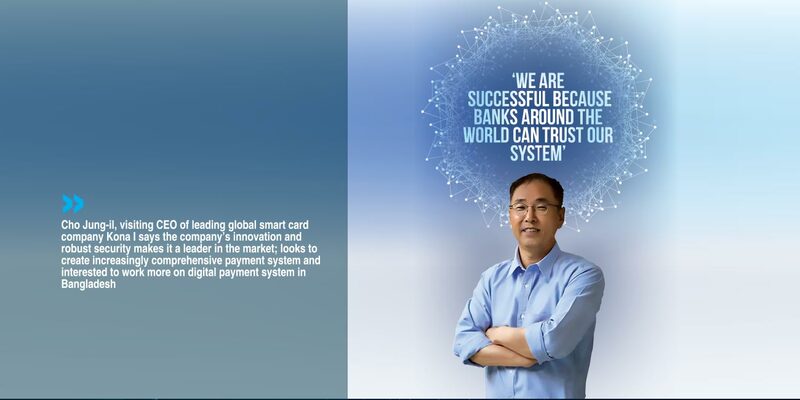 “A lot of people around the world benefit from the technology that we design, by using card transportation systems, digital money, mobile commerce systems, and smart card platforms developed by Kona I. Now the company is working in more than 90 countries around the world,” Jung-il said. Kona I is well known globally as a leading provider of complete solutions and platforms to the global fintech market. Since its founding in 1998, the company has developed and commercialized Korea’s first integrated bus-subway card transportation system. Since 2004, Kona I has supplied IC chips to the telecommunications industry, banking industry and governments using its proprietary KONA chip operating system (OS), and is expanding its business areas to provide fintech, certification, security, and video stream related platform solutions. The company has had presence in Bangladesh since 2012. Calling Bangladesh an important country for Kona, Jung-il said that the company has been busy creating many different payment and security products. “At present, the work is going on in various projects at home and abroad to create convenient payment system and payment related security software,” he said. One of the ultimate goals, Jung-il said, is to introduce fully integrated service solution here. Kona’s operation in Bangladesh started in 2012 as Kona Software Lab Limited. The company recently completed a comprehensive one-stop payment solution app/software for Dutch Bangla Bank Ltd (DBBL), which DBBL says can potentially replace card with smartphone, making banking immensly more accessible for the vast majority of demographics in Bangladesh. Kona is currently providing chip card to more than 30 banks in Bangladesh. The company is also working on EMV, HCE, NFC and QR code technology for digital payment and wallet services, as well as working on an integrated app where users can enjoy all lifestyle services. Jung-il thinks that Kona’s operation helps create skilled manpower in Bangladesh and the company looks forward to engage more intensively in research and development in this country. The CEO said that he will be interested to see how Kona can contribute to helping tech-startups and help relevant university projects in Bangladesh. Jung-il said when he was looking to start operation in Bangladesh, he did not want to start another outsourcing office, like most other companies were doing. 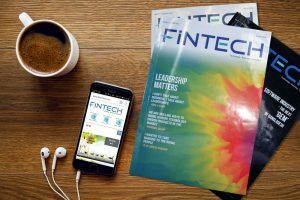 “I thought there is no industry as such, especially in fintech. So, my idea was to try work toward that kind of industry here. At that time I saw that several companies in Bangladesh that were working in fintech and related fields, were all outsourcing companies. They don’t do any research project by themselves,” Jung-il said. Jung-il, who acts as the the chairman of Kona Software Lab, believed that Bangladesh had very talented human resources and it was possible to start independent research work locally. “I wanted to initiate research work and decided against outsourcing. As a result, we now have a very competent research team here, which we have built using talented people from Bangladesh,” Jung-il said. Kona I, Kona Software Lab’s parent organization, is the No 1 IC Chip supplier of card issuers in the South Korean market, and also supplies clients in 90 countries. It owns about 100 product certifications and field certifications for VISA, MasterCard, JCB, AMEX and many more, providing products and services tailored to the needs of its customers. ICT for human, or human for ICT?